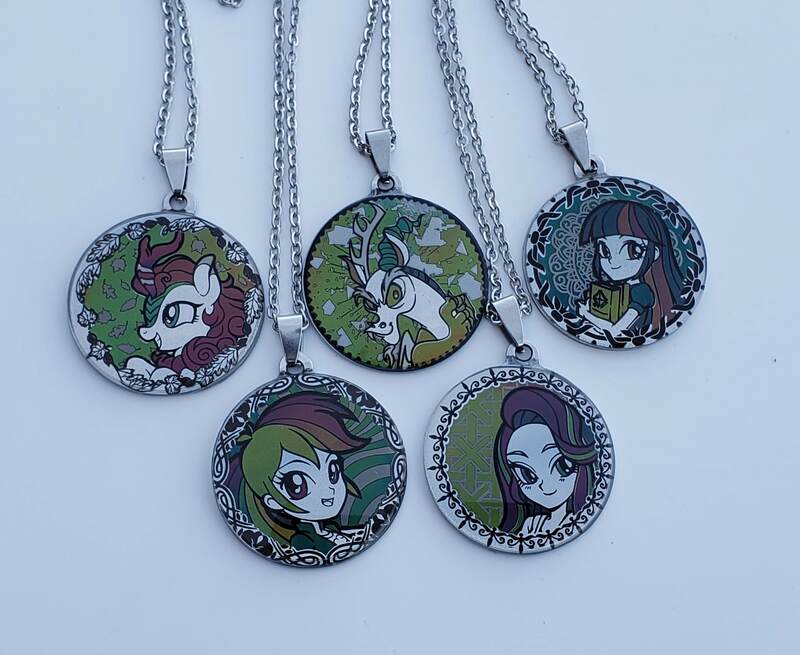 These amazingly shiny things are 34mm (1.33") mirror polished stainless steel pendants, laser etched with a pony! What's even cooler, is that when the laser is set exactly right, it produces colors! So these pendants have a metallic color finish, produced with the magic of lasers. The art is by Lindsay Cibos, but I'll take the blame for the design and execution. New! : Five new designs added: Autumn Blaze, Discord, EQG Twilight, EQG Dash and EQG Glimmer! Also pendants now have a glass dome on top, instead of the old epoxy one, making them much shinier and more durable.